Just as any prudent investor diversifies by asset and sector type, so also they must avoid having all their assets denominated in one currency, or only in fiat currencies (vs. hard assets like commodities, real estate, or the more liquid forms of collectibles). Whether you’re a trader, long term passive investor, or both, you need steady exposure to the currencies and commodities that are in the most stable long term up trends. Before any further discussion, just consider the following 7 long term historical charts and their supporting tables that both update them to mid 2012 and illustrate the loss of purchasing power, and thus wealth, for those whose assets are based in US Dollars. While these charts illustrate the what has happened to the purchasing power of those based in US dollars, the lessons apply to varying degrees to those based in most other major currencies, to an even greater degree to those based in British Pounds (see Part 2), and are likely to apply to as much or a greater degree to those based in Euros or Yen if the current fiscal and monetary policies in the EU and Japan continue. The USD’s depreciation, and its effect on the wealth of those based in US dollars, is most easily appreciated by noting the USD’s depreciation vs. a sample of key commodities. Note that for a variety of reasons, USD purchasing power has not moved in lock step with the below declines. Conservation, more efficient production, new technologies and a variety of other factors have moderated the effects of the USD’s decline. The goal is of the following is simply to highlight the enormous loss of purchasing power over the past decades. Unless otherwise noted, the following figures not adjusted for inflation for the sake of illustration. 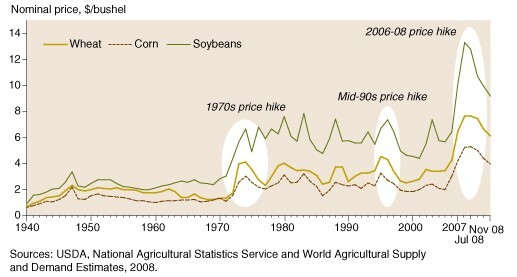 The chart below shows how the USD has declined relative to wheat, soybeans, and corn from 1940 to the end of 2008. The tables that follow update that data to mid 2012. Gold is primarily a currency hedge, Its price rises or falls with fear of loss of purchasing power. In the early 1970s it was about $35/oz, as of mid 2012 it’s around 1600/oz, a 4471% loss in the amount of gold a dollar buys. While the price of gold doesn’t directly influence the cost of most things you buy, it does indicate the worldwide falling confidence in the USD as a store of value. The effects of this loss of confidence will ultimately be reflected in declining demand for the USD for foreign central bank reserves it’s decreasing use in global trade, and rising commodity prices. The most dramatic example of this is oil shock of 1973. After President Nixon ended the USD’s theoretical convertibility to an ounce of gold in 1971 (followed by other industrialized nations), OPEC decided to link the price of oil to gold. Oil prices were due to rise sharply, as oil suppliers were now being paid in less valuable US dollars. US military support for Israel during the Arab October 1973 attack aimed at destroying Israel provided the catalyst (or excuse, depending on your viewpoint) for OPEC’s decision to hike oil prices 70% to $5.11/barrel. 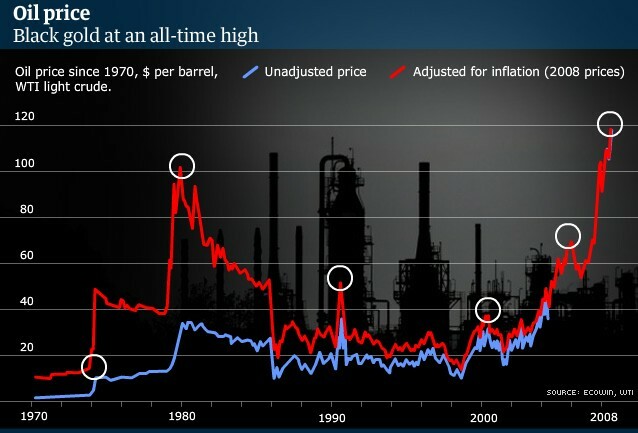 By 1974 oil’s price had quadrupled to nearly $12. Few believed Arab leaders claims that the price hike was somehow in defense of Palestinian/Arab rights( aka to commit the genocide apparently intended by the 1973 attack on Israel). That the vast reallocation of wealth to the Mideast oil producers flowed mostly to its ruling elites confirms that the price hike was essentially an overdue adjustment for the decline in the US dollar’s value. Most people earn and spend in one currency, which can create the very false impression that they’re insulated from the effects of that currency’s depreciation versus both other currencies and commodities. That just makes the loss in purchasing power harder to see. But don’t be fooled, it’s there. This is a huge misconception for multiple reasons, to be discussed in greater detail further in this series. Just to tide you over, the short answer is that Americans have paid dearly for the long term loss in purchasing power of USD as cost of imported finished goods, parts, and raw materials, and the resulting increase in cost of living, has outpaced their incomes. Obviously there are other causes for the decline in American lifestyles in the past 40-plus besides the decline of the USD. But here are a just 3 examples where currency depreciation has been a huge part of the problem. Essential Commodities: As anyone who has bought gas for their car over the past decades knows, the cost of a gallon of gas has gone up far faster than their income. The same goes for most food products and other key commodities. Japanese cars: remember when they were cheap relative to American cars of similar size and type? Gold: It’s primarily a hedge against falling purchasing power. As fears increase about loss of purchasing power, so does the price of gold. 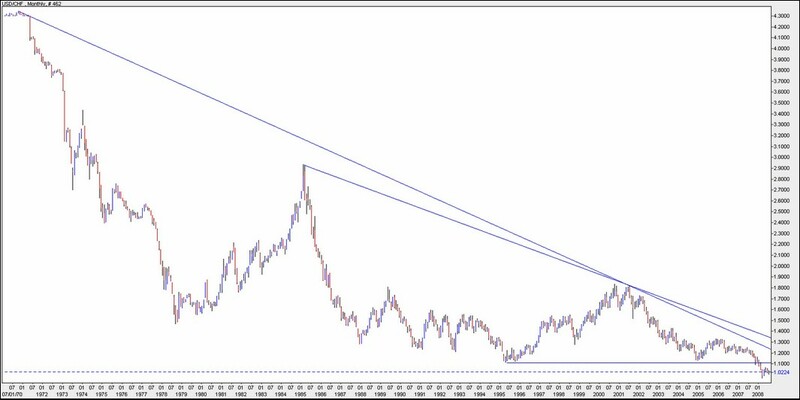 Short term gold price movements reflect other factors, but the long term rise in gold is a clear sign of the USD’s loss of purchasing power, and fear of more to come. The policies behind this decline and reasons for them are a separate discussion. Note that when buying foreign goods or services, prices do not move lock step with currency fluctuations. This is true for many reasons. For example, in order to preserve market share, overseas vendors frequently choose to absorb some of the losses from USD depreciation rather than pass them all on to US customers. Alternatively, they find more efficient production methods to offset the losses from currency differentials. Ultimately, however, multi-decade declines in the USD vs. a variety of currencies create losses beyond what non-US producers and vendors can afford to absorb, and are passed on to US consumers. Also, finished goods frequently contain components or man hours from multiple currency zones. For example, a truck built in Sweden or the US may contain numerous components from Japan or Mexico, and thus its price in the US would to some degree ultimately reflect the USD’s depreciation vs. the JPY, Peso, or other currency, as would the cost of goods or services from US businesses that must pay a higher price for those trucks. Let’s look at what happened to the USD versus some of the major currencies. Note that Japan and Canada are both major exporters to the US. Primary Japanese exports to the US include cars, motorcycles, (along with parts and accessories for these), computer accessories and other consumer electronics, and a variety of industrial machinery and related parts. Its total exports to the US are over $150 billion per year. Therefore the USD’s depreciation versus the Yen, as shown below, feeds upward pricing pressure throughout these big ticket sectors and the sectors that use them. The good news for Americans is that those who don’t use cars, computers or other consumer electronics, heavy machinery or products and services produced from them, should not be materially affected by the chart below that illustrates the loss of USD purchasing power versus the Yen. Congratulations to both of you, if this message reaches you in your cabin, tent, or abandoned car. 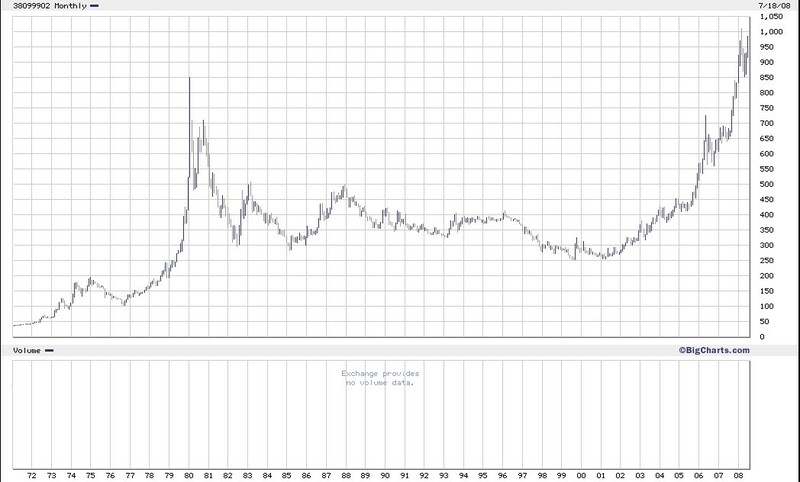 From 1977-2008 the USD JPY fell from ~300 to a ~ 107. As of mid 2012 it’s at~ 80. Here’s the total loss of purchasing power. This is reflected to a lesser extent when buying goods that include Japanese made components. The Swiss export about $25 bln to the US, mostly assorted machinery, chemicals, and consumer goods. The above depreciation has made Switzerland one of the most expensive places an American can visit. For example, a Big Mac, worth about $4.20 in the US, costs $6.81 in Switzerland. About 75% of Canada’s $450 bln in exports goes to the US, led by motor vehicles and parts, industrial machinery, telecommunications equipment, chemicals, fertilizers, timber products, oil, gas, a variety of other mineral products like aluminum, and electricity. As in the case of the USD vs. the JPY, the size and breadth of these exports mean that the USD’s decade long depreciation versus the CAD exerts considerable price pressure across a wide range of products both for direct consumers of these products as well as through indirect consumption of products that use them. About 57% of Australia’s exports are from agricultural goods (especially wheat and wool) and minerals (iron and gold). It’s also a significant exporter of liquefied natural gas and coal. The primary customers for its ~2.5 bln in exports (in order of importance) are Japan, China, the EU, South Korea, and the US. Thus Americans would feel the USD’s loss of purchasing power vs. the AUD mostly through the indirect influence of Australian inputs in goods imported to the US from Australia’s bigger export customers. Clearly, assuming you could attain equal nominal returns on a portfolio of assets exposed to the above currencies and commodities rather than being in purely USD denominated assets, your real returns would have been dramatically better over the past decades, with less volatility too. The a US dollar based investor stuck to those currencies and commodities that were in long term (and thus more stable) trends versus the USD, the more they prospered. So Why Do Investors Routinely Ignore Forex Diversification? The idea is obviously logical and sensible. Yet few put it into practice. There are a number of reasons for this. Access to forex markets: While there is a long established retail industry for investing in stocks, bonds, and real estate, easy, low cost access to forex markets for private investors of average means is only about 10 years old, a child of the internet and the low cost access to information it provides. 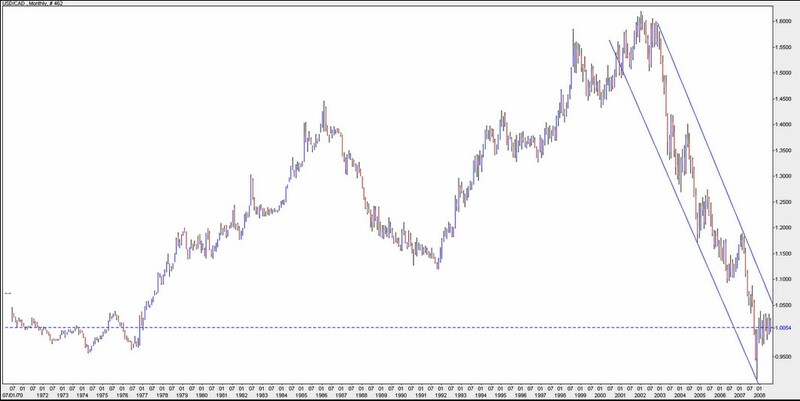 Need for forex exposure: The US dollar (and other major currencies) has been steadily losing purchasing power for many decades, particularly in the early 1970s, after the USD could no longer be converted to gold, followed by a massive spike in oil and other hard asset prices. However, widespread awareness of the danger from being exposed to the USD has only recently started to spread, as years of stimulus programs and historically low interest rates have raised awareness of the dangers of inflation once the US and global economies begin to recover, and vast reservoirs of cash start bidding up the price of goods. As we’ll show further on, even the recession that began in late 2007 has failed to halt the dramatic price increases of numerous essential commodities that directly impact our cost of living, like energy products, grains and other agricultural and mineral resources. The decline of the USD and other currencies was not the only reason for this, but it played a large role. Furthermore, that very newness itself breeds the typical resistance to change. Many mistakenly believe that as long as they earn and spend in only one currency, they’re insulated from its depreciation relative to other currencies (as shown below, not true). Also, like any kind of change, particularly changes involving money, confronting the brave new world of currency diversified portfolios can be intimidating, but it needn’t be. Engage in the kind of demanding, high leverage, high risk short term forex trading at which the vast majority fail. In fact, you don’t have to trade at all. If you prefer, there are a variety of approaches suitable for long term, passive or retirement oriented investors that don’t require a lot of monitoring, or complex analysis. Granted, it’s been very hard to find reliable, conservative guidance on this. No longer. Conservative trading methods for much lower risks and better returns than via the usual short term spot market forex trading. Building portfolios for income or capital gains comprised of assets that provide exposure to multiple currencies that are likely to hold or increase their value. It’s also the only forex book to take an exclusive in-depth objective look at the two latest ways to tap forex and commodities markets for both active traders and passive investors, social trading (an improved type of managed account) and binary options ( a simplified way to trade in which all you really need get right is the overall trend direction over the life of the option. It’s magnitude, as well as most risk and money management issues, don’t really apply). 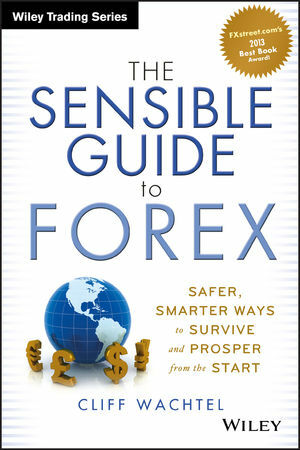 Its companion website, thesensibleguidetoforex.com, is dedicated to supplementing the book with an ever expanding body of material on how to do this. The website will be up shortly, and over the coming months prior to the book’s release we’ll be adding preview content, bonus content on both conservative forex trading and forex diversified income investing, advanced reviews, and more. Think what happened to those based in US dollars was bad? Assuming comparable returns there are those who had it worse. See Part 2 for details.